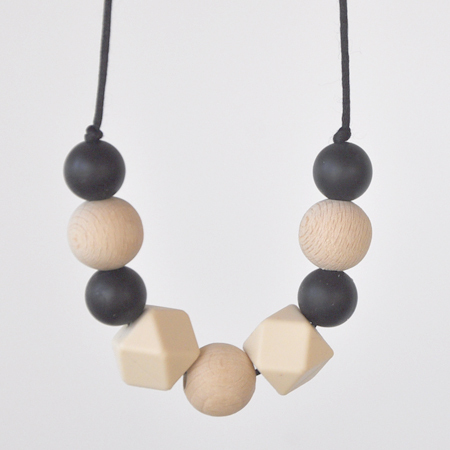 JULIA is an easy teething necklace. 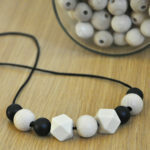 It is formed by 6 silicone beads and 3 balls of natural wood (untreated beech). 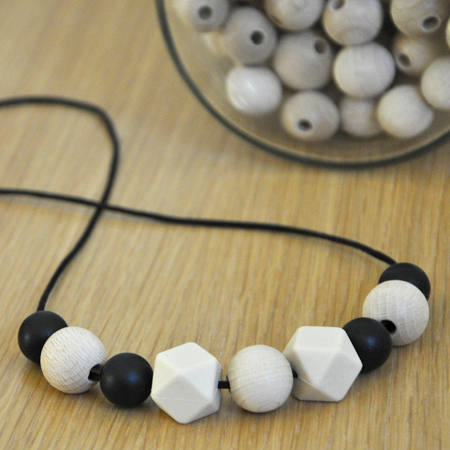 The cord is black.